I’m not really sure what inspired me to write this story, like most of my ideas it seemed to just come into my mind and it developed from there. The rough outline of the story was written in summer 2012, but it wasn’t until October 2013 when the script began to develop as I needed to begin working on my final year University film. I co-wrote the script with Chris Hobbs and after sending it out for feedback we had the shooting script. 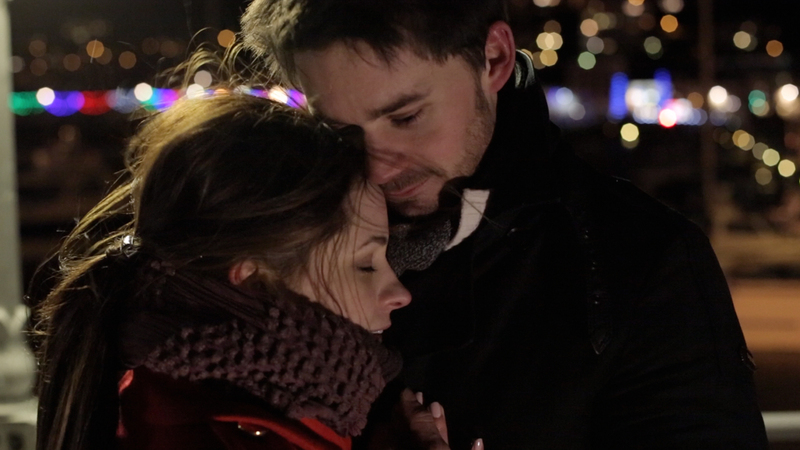 I knew I wanted to film in Devon and Torbay was the perfect setting as the Torquay sea front looks great at night. Fellow Devon filmmaker John Tomkins helped produce the film and helped source the films locations including the Shoreline Cafe and Torquay Central Cinema. I met John having composed some of the music for his 2012 action thriller ‘They’re Coming’. With the locations sorted I began casting. I placed casting calls on a few casting responses and just under 100 people applied for the parts available. First to be cast was Alice Maguire, who was everything and more I was looking for in someone to portray Bliss. You know somethings are just meant to be, because Valentines Day was the first time I met her in Covent Garden. Two weeks later I was sitting in the same Covent Garden Coffee chain establishment talking to James Darby who I knew would make a fantastic Ben and form a great partnership with Alice. The final roles where filled by Louisa Wilde (Millie) who at the time was training at Cygnet Theatre in Exeter. James Cotter and James Coard have cameo appearances as a Cafe customer and waiter and there ‘moments’ have brought a smile to most who have seen the film. Filming took place over four days in Arctic conditions. It was seriously cold! Nobody complained though and we battled through to film what we had too. Apart from the weather I only have positive memories from filming as cast and crew got on so well with each other. Hot chocolates, Scouse accents, an afternoon spent in the company of David Bowie and A-ha and the four James’s particulary spring to mind. I guess you had to be there. Bliss took around 6 weeks to finish in Post. It was edited and graded in Avid Media Composer with the sound being mixed in Pro Tools. A few VFX shots where also complete in Adobe After Effects. Editing is always an interesting time in a films progress as you can greatly change what you had originally intended to do and Bliss was no different. 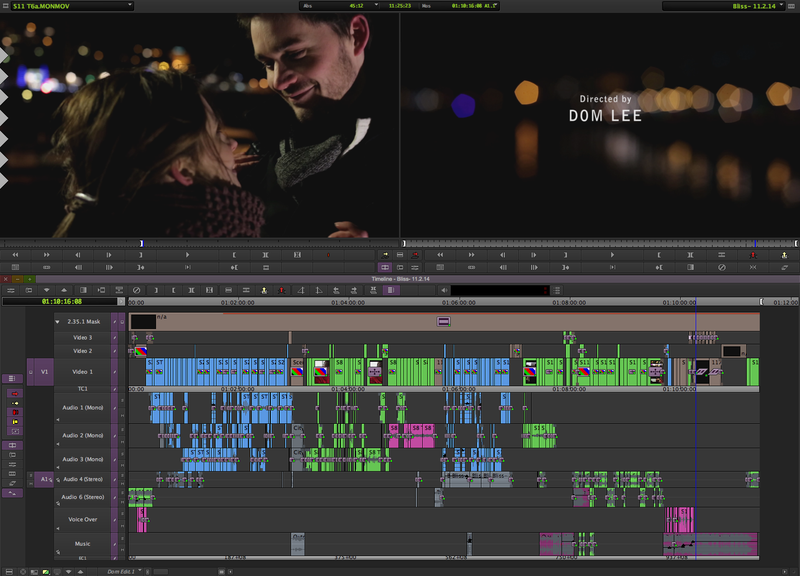 The editing timeline for the film can be seen below. The first cut of the film edited so it matched the script was around 19 minutes long. Following feedback from various people the finished film was cut down to 11 minutes and 26 seconds. Scenes where either cut down or removed completely and the running order was changed. The film was premiered in June at Torquay Central Cinema. It was shown before John Tomkins short film ‘A Dark Tale’ to around 90 people. The film received a very positive response from those who attended. As the film is set around Valentines Day it didn’t make sense to release it during the summer, so on February 14th 2014 it was released to the world.